There are 13 blog entries for April 2011. PRICE REDUCTION of $360,000 in Admiral’s Cove! Friday, April 22nd, 2011 at 9:55am. Here is an opportunity not to be missed! 318 Eagle Drive, Jupiter, FL in Admiral’s Cove has been reduced to $3,990,000 from $4,350,000. This recently completed home in 2009 has 5 bedrooms, 6 and 2 ½ baths and is believed to have one of the top ten views in the entire community! Consider the edgeless infinity pool and spa which overlooks the dock that can accommodate your boat up to 50’. 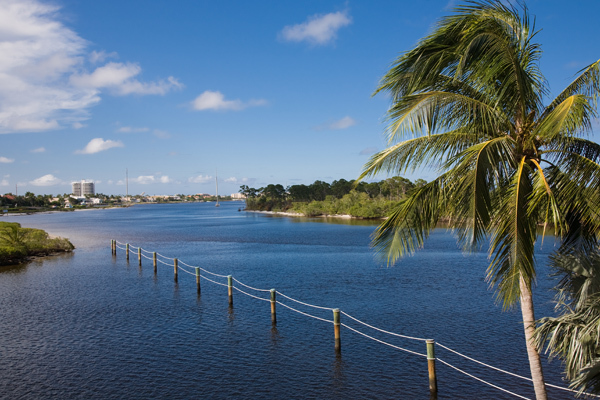 There are no fixed bridges and you are just a short distance to the Intracoastal Waterway. The home itself features travertine floors, Sub Zero refrigerators, Wolf chef’s stoves and double ovens, 2 dishwashers, 75+ wine cooler. Coffered ceilings and wrought iron scroll work throughout the house. Act quickly this prospect won’t last $3,990,000. Availability is Important and Now is the Time to Buy in Admiral's Cove! Thursday, April 21st, 2011 at 10:12am. Admiral’s Cove has 880 types of homes within the gates of this premiere luxury residential community. Within the community of Admiral’s Cove and the Golf Village one can find approximately 350 single family estate homes, 224 patio homes, 122 patio homes, and 184 condominiums. Recent sales indicate that Waterfront Properties, Rob Thomson, and his sales team have been instrumental in seeing these transactions through to closing. Currently, the market conditions indicate 89 active listings and 18 rentals available. If you would like to have a private conversation with the trusted leading experts in Admiral’s Cove contact Waterfront Properties and Club Communities. Thursday, April 21st, 2011 at 8:54am. Wednesday, April 20th, 2011 at 10:43am. 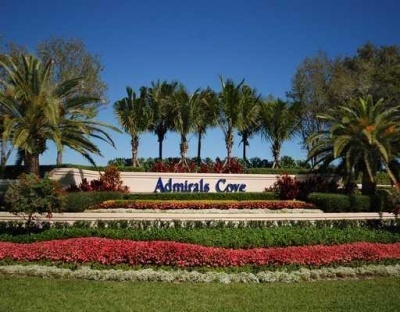 Come see Admiral's Cove's 207 Commodore Drive in Jupiter, Florida! 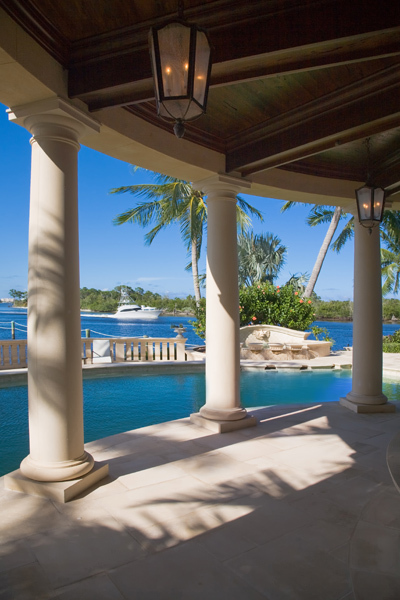 This Intracoastal mansion is truly a unique opportunity with 225 feet of water frontage and panoramic views. The private entry and wide, water views are surrounded by lush tropical landscaping. The private dock can accommodate a boat of approximately 125 feet on the premises. The residence consists of 5 bedrooms and 7 1/2 bathrooms. The master is a three room suite with views that need to be seen to be believed. NO expense has been spared. 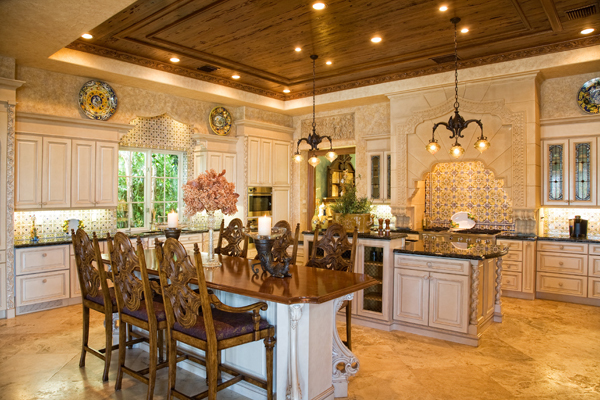 Imported French and Italian chandeliers, Botticino marble, German accent pieces, and much more! This home will exceed your expectations! This palatial estate is currently marketed at $12,900,000. Tuesday, April 19th, 2011 at 8:55am. Ship Store – Inside the ship store one can purchase oil products for the Boat, fishing tackle, t-shirt, sunscreen, snacks, provisions, or a delightful bottle of wine from the fine selections of available From a merlot to a vintage bottle of Dom Perignon 2002. Monday, April 18th, 2011 at 11:39am. This waterfront home is available for $1,200,000. View more homes for sale in this prestigious Jupiter community in the Admirals Cove section of our website. Sunday, April 17th, 2011 at 4:07pm. I took a walk from my house this afternoon to take a peek at how things were coming along in Frenchman's Harbor. I was able to take a quick snapshot of one of the homes being built. I could see that construction had begun on a few different homes. Friday, April 15th, 2011 at 11:04am. 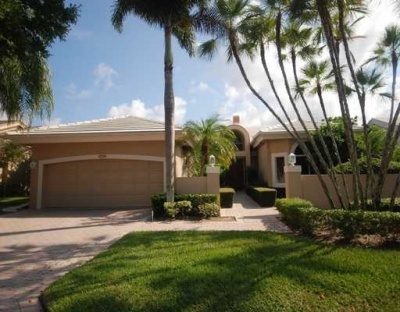 The property located at 116 North Village Way in Admirals Cove, Jupiter, FL. is a picturesque Pinehurst II model. This home contains four spacious bedrooms, plus den and four and ½ baths. This residence has scenic views of the desirable 9th fairway beyond the private pool and patio. This home has many upgrades including sound system throughout the home, alarm system, and crown molding to name a few. It has a large open kitchen to the family room which allows the owner to appreciate the golf course view. This attractive model has five built ins included which make it a “must see” unit. It is conveniently located to The Club and golf membership is available. This golfers dream home is attractively priced at $950,000. Thursday, April 14th, 2011 at 8:01am. 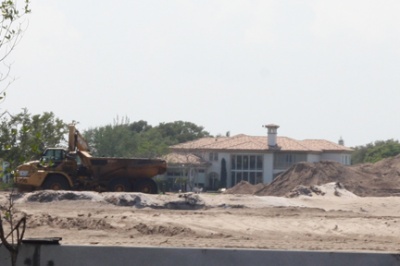 This grand estate in Admirals Cove has yet to be built. For this Custom Estate the buyer can make minor adjustments – pick your colors, make cabinet selections, etc. The magnificent home is to be built by an award winning builder. The plans call for the finest of details and surpassed craftsmanship. The construction of this estate on the ¾ acre lot will be paramount. No membership is required! Any inquiries on this prime opportunity may be directed to the specialists at Waterfront Properties.Com. The pre-construction price is currently marketed at $3,250,000. 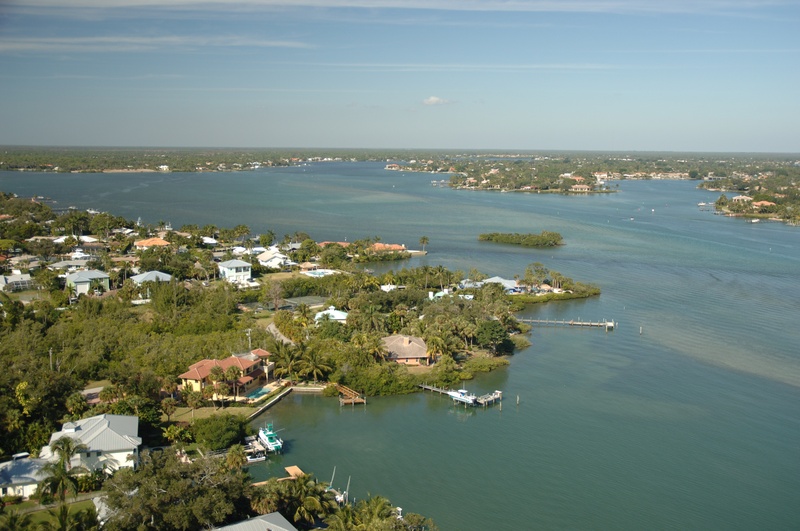 Request a tour of this luxurious boating and golf community! Wednesday, April 13th, 2011 at 10:20am. This morning I drove down Ellison Wilson, which is closed to anyone but local traffic, towards Donald Ross to check on the progression of the construction of this community. As I came to the 'Road Closed' barriers, I was very impressed with the amount accomplished already! Toll Brothers reports that the bridges for the channel being built in Frenchman's Harbor will be completed by late spring. From my estimate they have made tremendous progress. Frenchman's Harbor seems to be located in the perfect spot, just minutes from the Atlantic Ocean. The new community is situated close to upscale shopping, fine dining, and recreational entertainment that Palm Beach, Palm Beach Gardens, and West Palm Beach have to offer.